Daytona may be a popular spot for Spring Breakers, but Central Floridians know that the best-kept secret for coastal living is New Smyrna Beach. This hidden gem offers a quiet, small-town lifestyle, while still providing plenty of activities for the whole family (or the visiting tourist). If you’re considering moving to New Smyrna Beach, let us fill you in on a few of the city’s best features first. You’ll be ready to start on your tan in no time. Most of Volusia County’s top employers have a strong presence in New Smyrna Beach. Volusia County Schools, the largest employer in Volusia County, has 5 public schools in New Smyrna Beach. Great news for parents and teachers alike. For professionals in the healthcare industry, Bert Fish Medical Center employs around 700 employees (and are currently hiring). Halifax Health and the SMA Behavioral Center also have New Smyrna Beach facilities. New Smyrna Beach maintains a healthy tourism industry among Florida residents, so there are plenty of jobs available in hotels, restaurants, and local shops. Getting around New Smyrna Beach is easiest in your own car, but the Votran Flex service can be a great option for the vehicle-less. This service is part-bus, part-taxi, and connects to the beaches, bus routes, and other popular spots. Jet-setters will appreciate New Smyrna Beach’s close proximity to Daytona Beach International and Orlando Sanford International airports. For most, New Smyrna Beach means casual meals you can eat while lounging on the sand. For a more formal experience, there’s Norwood’s. Since 1946, this family restaurant has been serving up fresh, delicious seafood dishes in a charming, candlelit atmosphere. The attached wine shop is filled with an “extensive, value-priced” selection of wines. For a classic Old Florida meal, JB’s Fish Camp is a must. This rustic spot is perfect for your post-beach meal (or cocktail). The restaurant overlooks the Intercoastal, so keep an eye out for dolphins and manatees. On the mainland, away from the hustle and bustle of the coast, Crabby Chris Crab Shack is a newcomer, but it’s already making waves. The menu is large, but it’s the award-winning mahi tacos that keep locals coming back for more. The fresh bagels (and homemade cream cheese) at Bagel World ensure a long line, but there’s no better way to kick off a day of surfing. The location and parking lot are small, so your best bet is to get your breakfast to go and enjoy it while watching the waves. Flagler Avenue – Located just off the beach, the shopping on Flagler Ave. is a perfect blend of tourist favorites (swimwear, restaurants, and art galleries abound) and local conveniences (such as realty offices, gas stations, and salons). Art exhibits, festivals, 5K’s, and other events are plentiful throughout the year, so keep an eye on the events calendar! Canal Street – The beach may get most of the attention, but mainland New Smyrna Beach has just as much to offer. Historic Canal St. offers a host of quaint shops on a quiet, tree-lined street. Throughout the year, you can attend a weekly farmer’s market, monthly art & car shows, and other events such as jazz festivals, tasting tours, and parades. Naturally, going to the beach is the most popular activity for New Smyrna Beach residents. Adrenaline junkies can use their beachside time to surf, fish, kayak, paddle board, and more. For teens, the NSB Skate Park is open every afternoon. For culture buffs, check out the New Smyrna Museum of History to learn about the area’s history and the creation of the city. In the evenings, be sure to check out the latest showings at Little Theatre of New Smyrna Beach. Fans of art will love visiting the Bob Ross Art Workshop. Home to a collection of the late artist’s original works, the workshop also hosts painting classes for you to get in touch with your inner painter. These “make it and take it” classes range from $45-70 per class. 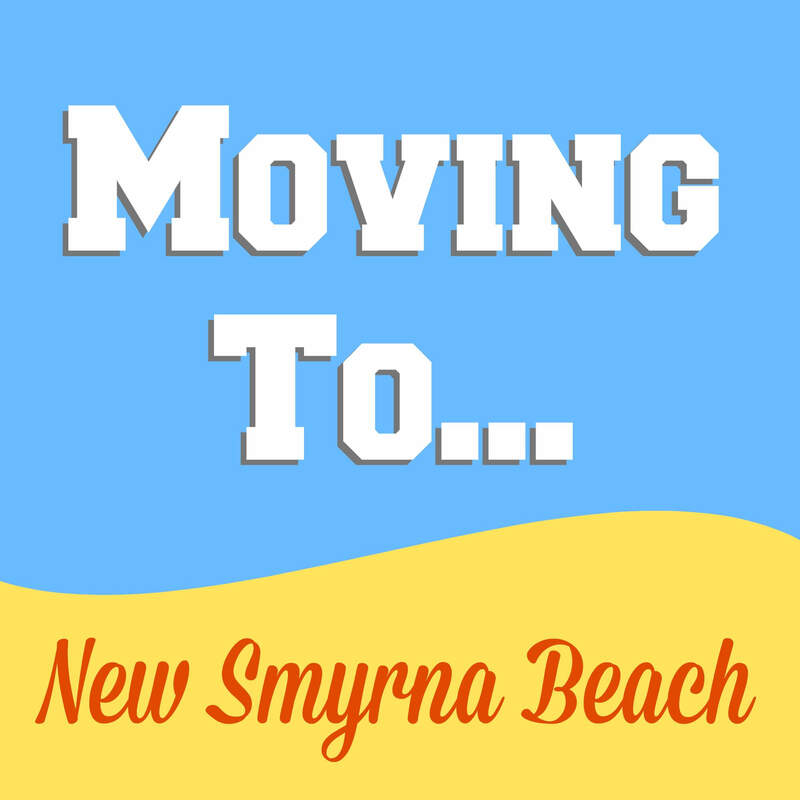 By now, we’re certain that you’re excited to pack some boxes to move to New Smyrna Beach! But before you lift a finger, make sure you get estimates from at least three separate moving companies, and make sure your destination is in their service area. At Cento Family Moving, we offer relocation services to all of Volusia County and even offer a free estimate on our website. Or simply give us a call to see how we can make your move easy!